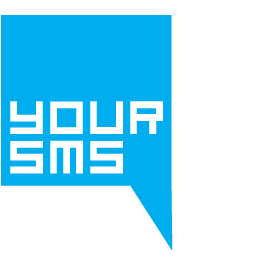 YourSMS's platform is designed to offer a number of options at sms sending. Send Single sms to specific partners or clients or Mass sms to inform groups of contacts about new services all around the world. Program your sms send to go any time you desire. Use our HLR (Home Location Register) service to remove unused and obsolete numbers from your contact lists and keep your partners or clients' database up-to-date. Send long messages (up to 480 characters) that deliver as one sms. Group your contacts to suit your needs and target your sms send more effectively and efficiently. At YourSMS we offer two different safe payment options, so that you can choose the one that better suit your needs. Check the menu on your right to find all YourSMS's service features in detail.